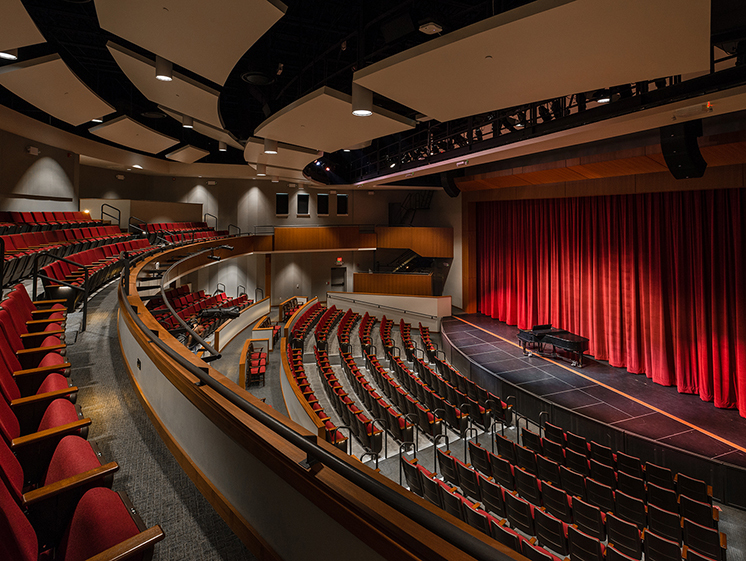 The new theater for St. Anne’s-Belfield School’s Upper School will replace an aging, undersized facility that was created from a gymnasium. 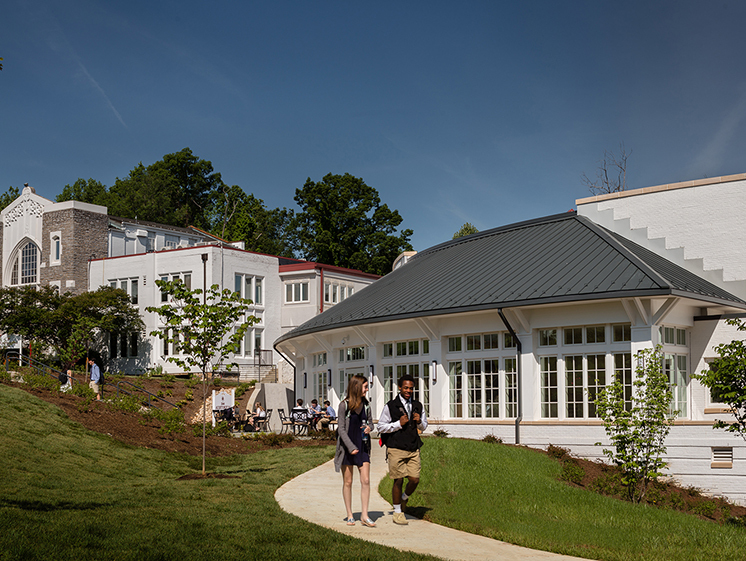 The room has a seating capacity of 460 on two levels – large enough for the entire Upper School and faculty. 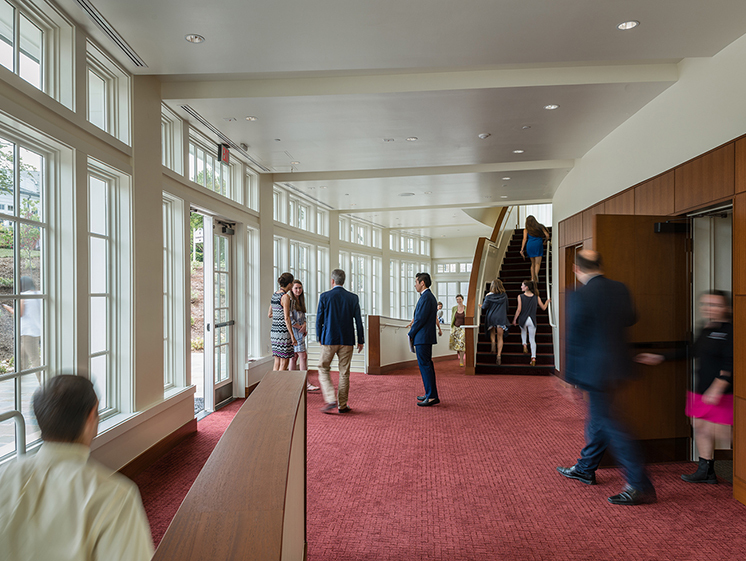 The room has the ability to darken the balcony and back sections for smaller audience sizes. 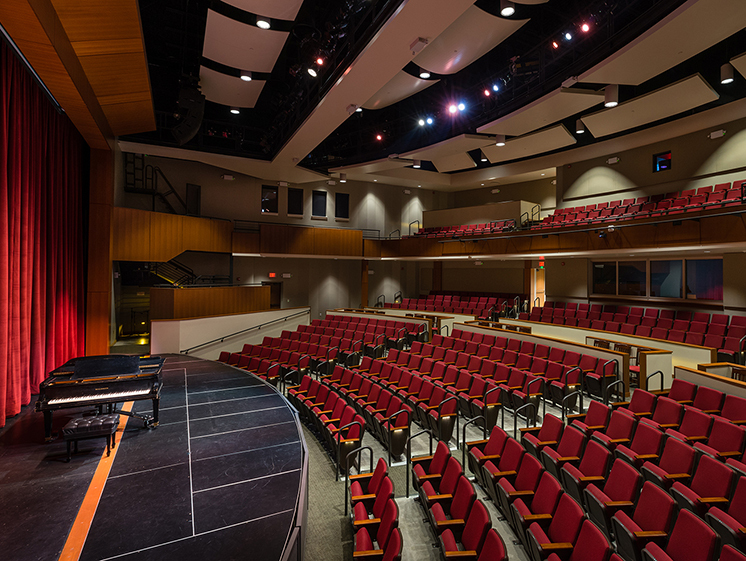 The seating is shaped in a “half moon” configuration with a thrust stage to emphasize the visual connections of students in the audience with each other and with the speaker on the stage. 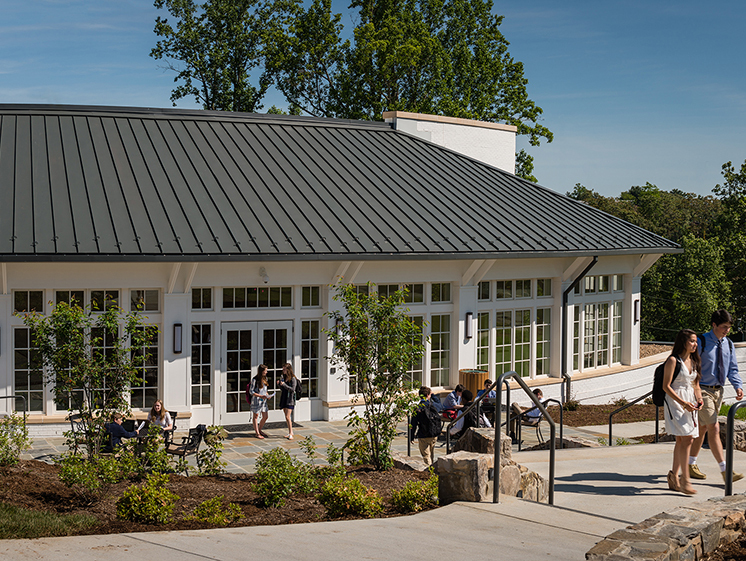 The space is designed to create an intimate experience that reinforces a sense of community and belonging.